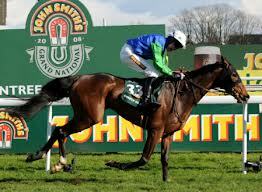 The Grand National (official site link) is one of the most bet on horse races in the world every year. The Grand National isn’t a typical race for horse bettors seeing that it is a handicap steeplechase race with a distance of 4 miles and 4 furlongs and 30 fences for horses to maneuver including a chair and water jump. The race is held every year in April at the Aintree Racecourse in Liverpool, England. There is a lot of controversy surrounding the race because it isn’t uncommon for horses to become injured and put down during the race because of the taxing distance and the difficult jumps that the horses are expected to clear. That being said the race still brings out the best horses in the world because of the large purse. In 2012 the total prize pool for the race was £975,000 with the winner earning more than half of that (£547,267.50). As mentioned earlier the Grand National is one of the most wagered on sporting events of the year and every sportsbook online will take bets on the race. That being said some online bookies go out of their way to offer some great Grand National promotions to bring in new bettors who want to bet on the Grand National for the first time. Bet365.com is one of these online sportsbooks and they are our recommended bookie for betting on this race. Bet365 is an online sportsbook based in the UK and although they accept bettors from around the world (except the USA) they focus slightly more on the big UK events and the Grand National definitely falls into this category. Visit Bet365.com to find out what kind of great promos they are offering for this years Grand National. Learn more about Bet365 by reading our complete Bet365 racebook review. If you live in the United States then I suggest betting on the Grand National at Bovada.lv, an online sportsbook that only accepts American bettors. To bet on the Grand National you will first need to open a Bet365.com betting account. Click here to visit Bet365.com, then click on the ‘Join Now’ link in the top right corner to open an account. Fill out the short sign up form to create your account. Now you will have a betting account, but you won’t have any money in it with which to wager. Fix this by clicking on ‘Deposit’ in the top right corner of the screen after logging into Bet365. Select your favourite deposit method and fund your account. Keep in mind that because you signed up through a link found here at BetOnHorseRaces.org that your first deposit will be matched up to $200. So I suggest depositing the full $200 to get the entire bonus. You are now ready to bet on the Grand National. Click on ‘Horse Racing’ in the left sidebar when logged in at Bet365, then find the race and place your bets. You can also scroll down on the ‘Horse Racing’ page to find the Antepost bets where you can wager on the Grand National prior to race day. The majority of historians agree that the first Grand National race was run in 1836 and was won by ‘The Duke’ who also won the following year. 1839 was the first year the race was held at Aintree and it has been held at that racecourse every year since except for 1916-1918 when the race was held at Gatwick Racecourse and from 1941-1945 when the race was called off due to the Second World War. In 1993 the race was also called void due to some false start controversy. The Grand National Wikipedia page has a wide variety of interesting historical information regarding the race if you would like to know more.